Since 1980, we’ve been honored to be the voice of Indy’s business scene - reporting the business news of this city we call home. 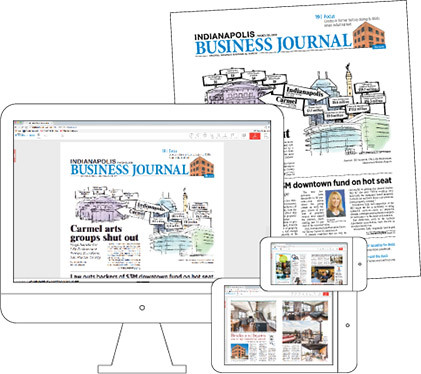 With our digital edition, enjoy unlimited digital access to IBJ content including articles, archives, and downloadable industry lists. Packed with enhanced digital tools such as comprehensive view, search, save and email, you get a digital replica of the print edition with the flexibility of digital.